and all the boats, paddles and PFD's will be in use. Competitive and Rec A teams will be racing their finals. 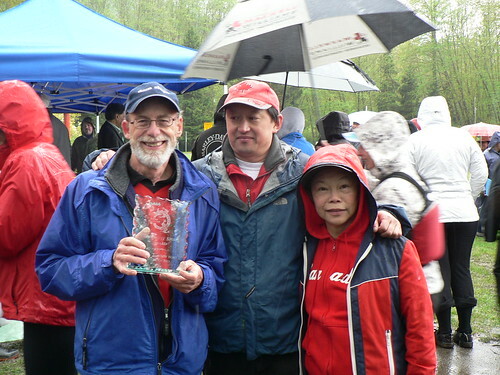 This entry was posted in Dragon Boat Information, Dragon Boat photos 2003, Dragon boat with Todd Wong - Dragon Boat Coach, Gung Haggis dragon boat team information, Main Page on May 28, 2011 by Todd. Wednesday May 17th to Sunday May 22nd, I was traveling through Oregon for 3 nights, then attending a wedding in Seattle on the Saturday night. Pictures are up on Flickr – and will be posted soon. This entry was posted in Main Page on May 27, 2011 by Todd. This is a great little book about the Chinese pioneer rail road building experience in Canada. This is a juvenile novel written as a diary about a young teen who follows his father to Canada, to help make money for their family in China. I reviewed this book last summer, and read it – just before visiting Craigellachie, the site of the “Last Spike” on the Canadian Pacific Railway. This entry was posted in Main Page on May 17, 2011 by Todd. Gung Haggis dragon boat team posing for the photographer, who had jumped on a Chase boat, and had to shoot with a telephoto lens. – but so did the hail – after the races – while waiting for the award ceremonies. 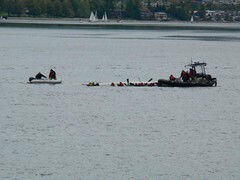 Unfortunately, a boat turned over in the Silver Final, and paddlers ended up in Barnet Inlet, and needed to be rescued. Special thanks to ex-paddlers and friends who came to paddle with us – as we were short paddlers. 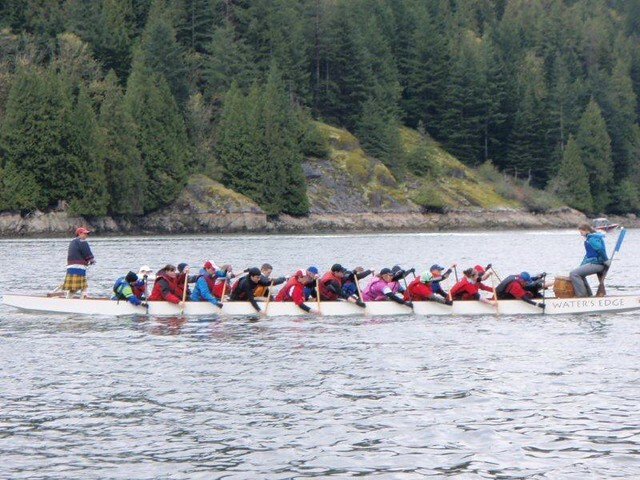 1st race – we started strong – (with a guest drummer) – but our rate was high, and we fell into 4th of 4 teams. but some minor timing problems, and we came 4th – but not far behind. Gung Haggis team paddles out to the Mixed Adult B race…. with guest paddlers and guest drummer. are now baptized into dragon boat races! Woo-hoo! Aidan and Eric have now done more races than practices! This entry was posted in Main Page on May 12, 2011 by Todd. book, PLEASE (New Issues), won the American Book Award. Saturday, May 14. Find out more at rachelrose.com. please send me a quick email response. This entry was posted in Main Page on May 10, 2011 by Todd. recognition for my role model and “biu-goh” (older cousin) – architect Joe Wai. the family. Our grandfather Wong Wah came to Canada in 1882, at age 16, in Victoria. Two people could not be less alike. Wai is an architect. UBC professor in 1974. Wai speaks Cantonese. Samuels speaks Mandarin. West are not as twain as they used to be. from each faction, and Samuels, who acted as intermediary. artisans build a replica of a Ming Dynasty-era garden here. century,” Samuels said, “when China was then part of the global economy. the city's corporate elite get involved. They needed about $6.7 million. A garden society was formed and a fundraising drive was started. Then the recession of 1981 hit. The donations dried up. allies in this. You know the Yiddish word 'macher'? It's like a fixer. shipment of raw logs and pulp to China as payment. an important donor in David Lam, former B.C. lieutenant-governor. Wai would resume his architectural work. movie actress. They now finance and produce movies together. of the 21st century were moving here. would they necessarily be interested in it when they came here? This entry was posted in Asian Canadian Cultural Events, Chinatown Vancouver, Chinese Canadian History, Cultural Fusion, Hapa culture, Main Page, Multicultural events, Vancouver Area Adventures, Vancouver Heritage and History on May 8, 2011 by Todd. chef at Doolin's Irish Pub is Mexican? dance to celticized folk & rock tunes. FREE PINT OF GUINNESS BEER – if you wear a kilt. so email to reserve – or first come, first choose! 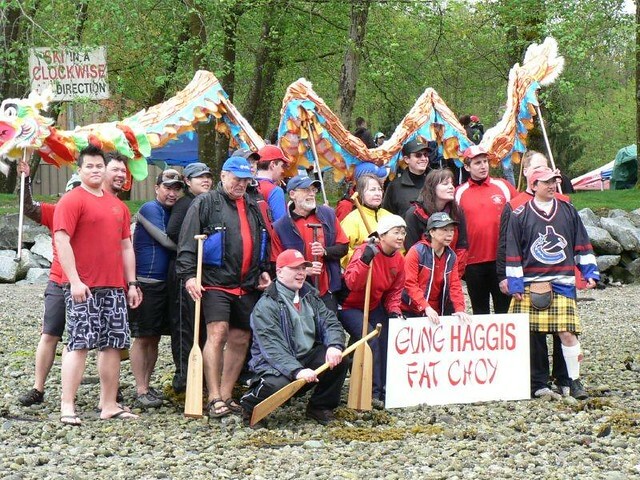 This entry was posted in Cultural Fusion, Gung Haggis dragon boat team information, Kilts - wearing kilts, Main Page, Multicultural events, Music, Scottish, Gaelic, Irish Celtic events and stories on May 5, 2011 by Todd. Jack Layton and Olivia Chow are probably the most inter-cultural couple in Canadian federal politics. Rick visits Jack for lunch at his eco-friendly home in Toronto. This entry was posted in Main Page on May 2, 2011 by Todd. Who are the most culturally diverse candidates in Metro Vancouver? 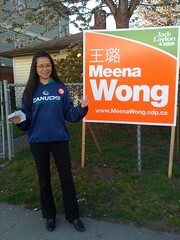 Meena Wong is running in Vancouver South for NDP. Conservative Wai Young – who is having a lot of troubles. In Vancouver Centre, Hedy Fry is the incumbent Liberal MP, born in the Caribbean, and has a strong support in the Vancouver gay community. Libby Davies has been NDP MP for many years in Vancouver East. She has attended many different cultural events of the year, including Gung Haggis Fat Choy dinners. Don Davies is the NDP incumbent MP for Vancouver Kingsway. I first met him a few years ago, at a dim sum lunch organized by Meena Wong. Davies has been very supportive of Chinese Canadian issues such as the Chinese Head Tax Redress campaign. He attends many cultural celebrations in Vancouver Kingsway and is very supportive of Vietnamese events. He has also attended many Gung Haggis Fat Choy events.